PUT A BELT ON IT. I got the inspiration for this little DIY after seeing how Vintagepiken stores her magazines and thought I had to share it with you guys since it’s probably the easiest DIY of all times. 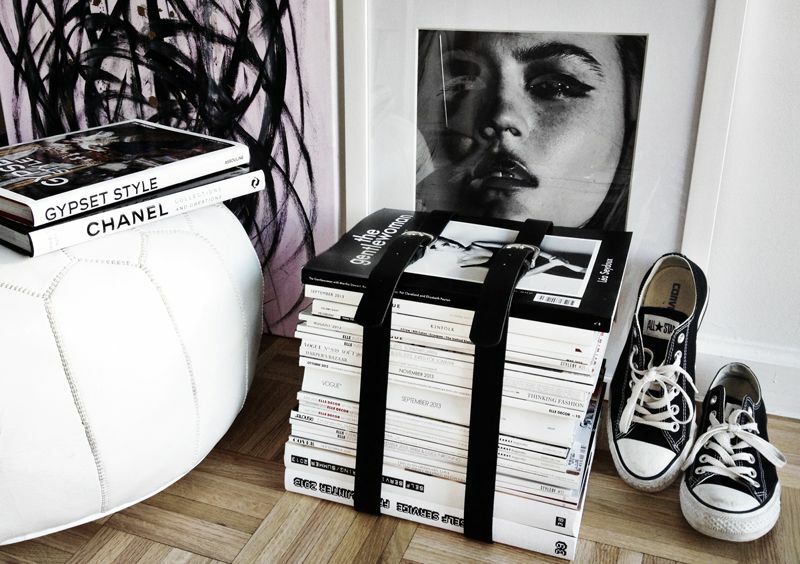 I have tons of fashion & interior design magazines laying around my apartment and this is such a neat way of organizing/displaying them. All you need are two belts to strap around your magazines, and voila, done. I got my belts at H&M, but if you already have some at home, they’ll work just as good!